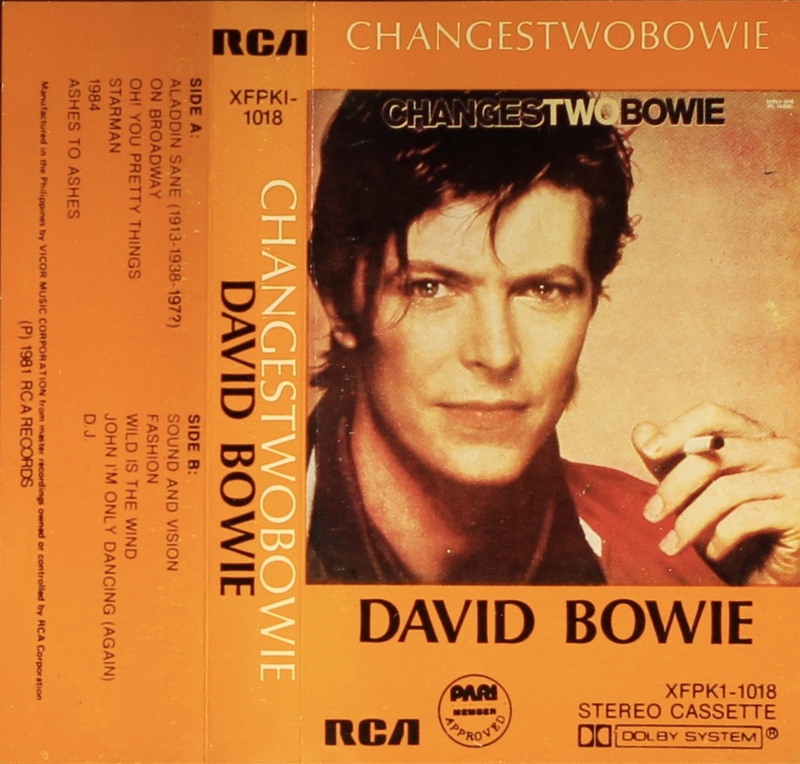 Changestwobowie: Philippines; RCA, XFPKI-1018; 1981. 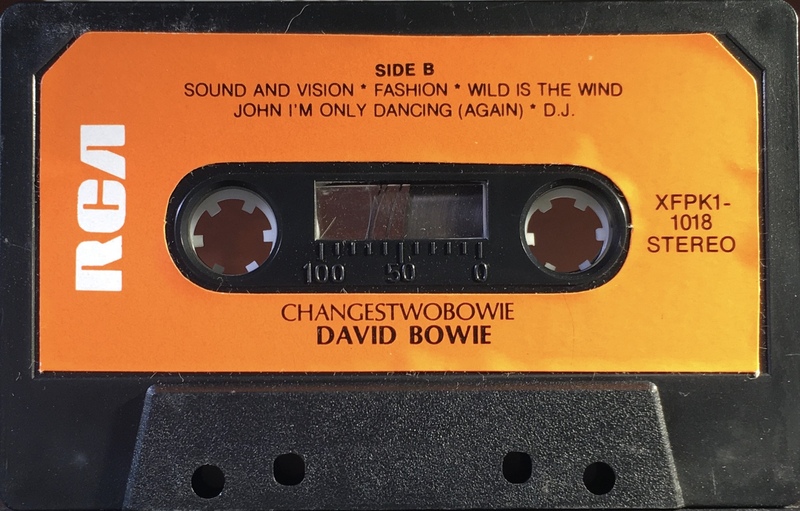 Orange tab top and footer on cover; orange spine and rear panel. 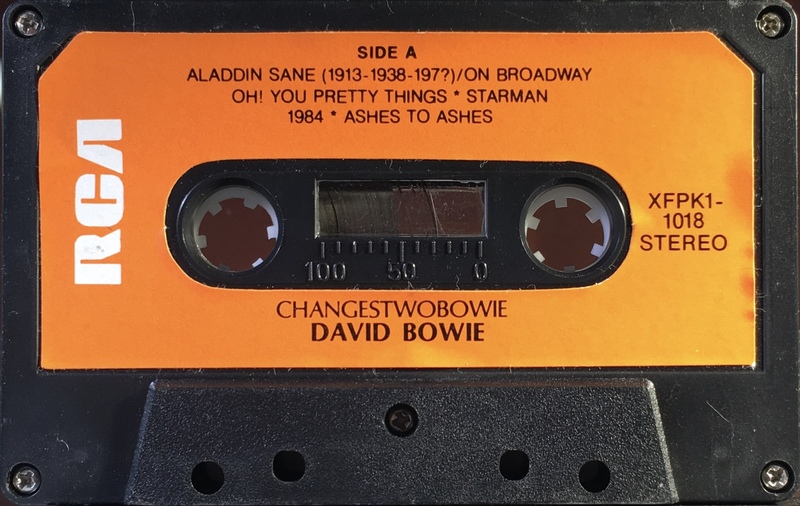 Track list on rear and inside panels ‘On Broadway’ listed separately to ‘Aladdin Sane’. Manufactured by Victor Music Corporation. PARI approved on cover. 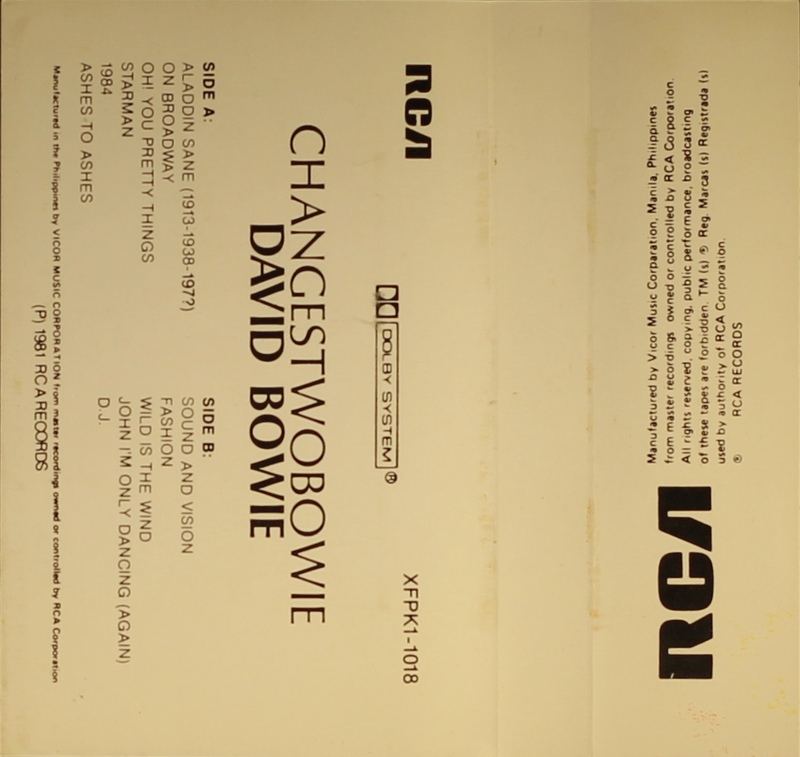 Black ink on orange label with solid white RCA onto black shell, titles in English.